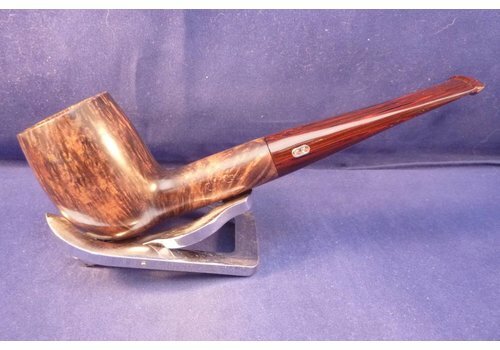 Smooth briar pipe in natural colours made by Gubbels in the Netherlands, transparant acrylic mouthpiece with a silver and gold coloured application. 9 mm. filters. 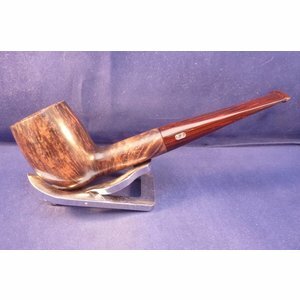 Smooth briar pipe with a brass ring made in France by Chacom. Black ebonite mouthpiece. Without filter. 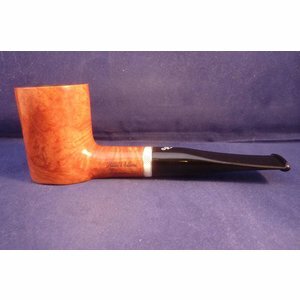 Beautiful Irish, smooth brown briar pipe completed with metal mount. 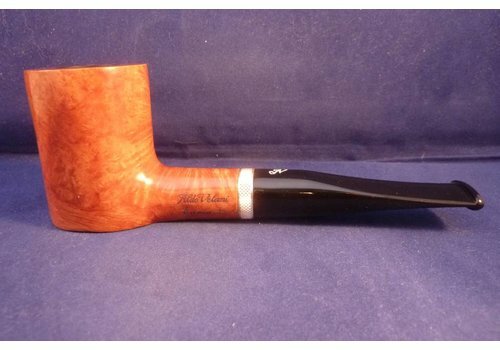 Vulcanite mouthpiece, without filter.